LBT Innovations is a groundbreaking designer of advanced technology solutions for the medical industry. We specialise in bringing advanced medical technologies to market. Our core capabilities include artificial intelligence, image analysis and software engineering solutions that improve medical diagnostic workflows. Our first technology was an automated culture plate streaking system called MicroStreak. 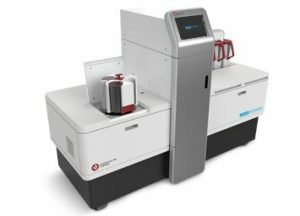 It was brought to market as the PREVI® Isola and initiated a new era in automation for clinical laboratories. Following its success, we partnered with the Australian Institute of Machine Learning to develop the Automated Plate Assessment System (APAS®). This technology performs automated image capture, analysis and interpretation of culture plates delivering efficiencies to the microbiology workflow. In 2016 it became the first artificial intelligence diagnostic medical device to achieve FDA Class II approval. The technology is currently being commercialised through LBT’s joint venture company Clever Culture Systems. 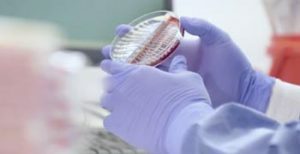 LBT Innovations is exploring opportunities to extend our platform APAS® “intelligent imaging” technology towards new applications including wound treatment, histopathology and antibiotic sensitivity screening, broadening our scope from practical laboratory processes to cutting-edge computer vision and analysis. If you want to work in an environment where every idea is valued, and people are encouraged to challenge the status quo. Get in touch!